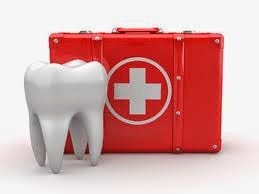 Toothache is one of the strongest pains that a person can experience. Although in most cases the problem can be solved only by a dentist, there are certain tricks that sometimes may help you if there is no other option. Firstly, it is important to determine the cause of dental pain. In most cases, the pain is caused due to dental caries, abscess, broken tooth, sore gums or wrongly grown wisdom teeth. When inflammation or swelling occur do not put a warm compress. The mixture consists of two bags or teaspoons of mint tea and four tsp of lemon balm and four tsp of St. John's wort. Add five drops of valerian in the tea. Tea needs to stand for 15 minutes before drinking and to ease the pain you need to drink two cups of tea. It has long been known that cloves relieve toothache. It is necessary to chew cloves for a short time, but with healthy teeth as a direct 'encounter' of a painful tooth with spice may cause even greater pain. It is always present in the household and it is considered to be a quick and convenient solution for the pain. Dissolve as much as possible amount of salt in the hot water and then rinse the tooth (approximately for two minutes). Caution: Do not swallow the solution as it is too salty for human organism. Traditional means for reducing inflammation. It is necessary to make a small tea bags of fresh chamomile if you are able to find it as it is much more efficient than the old and dry one. Soak them in the hot or cold water, as desired, and keep them for a few minutes on the painful area in the mouth. Onion is rich in essential oils that enhance the health. Place finely chopped onions in a tissue and mash it further with your hands to release more onion juice. Place the tissue on the painful area on the cheek for a few minutes and hopefully it will help alleviate the pain.